In an increasingly complex world, decision analysis plays a key role in helping managers gain a greater understanding of the situations they face. 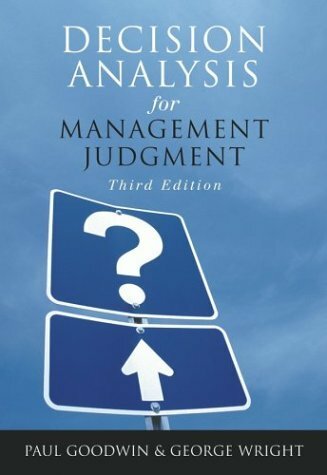 This updated classic offers unrivalled coverage of the problems associated with unaided managerial decision making and the methods designed to overcome them, all presented and explained in a clear, straightforward manner. The Third Edition is extensively updated and reflects new developments such as 'fast and frugal heuristics' and "structured risk management". A new website will offer links, additional exercises and case studies, and downloadable Excel spreadsheets.